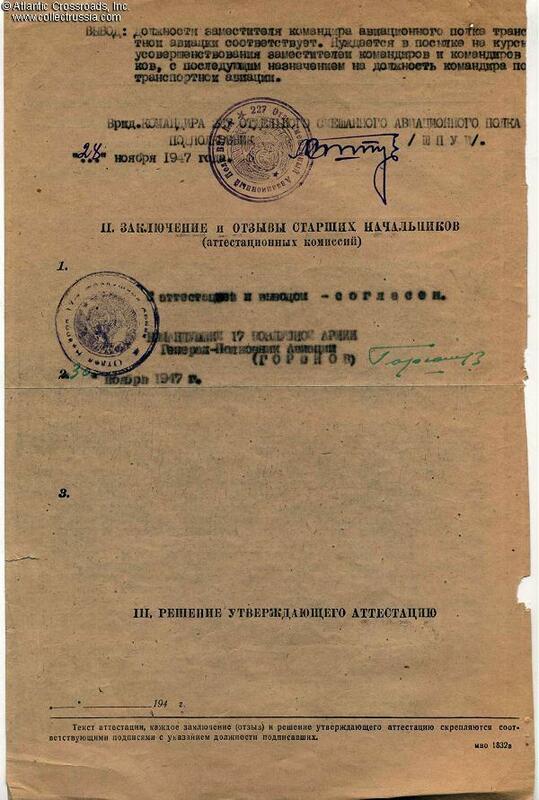 Air Force Colonel General Goryunov, Commander of 17th Air Army, typed document signed and dated 30 November 1947. 11 ¾" x 7 5/8". Service evaluation of Maj. Pavel Vishnevetskiy, Deputy Commander of the 227th Independent Mixed Air Regiment. Very positive review which interestingly states that Vishnivetskiy has no military education being apparently a civil aviation pilot prior to the war. Mentions that during the Patriotic War he flew 10 missions to supply partisans with landings behind the enemy lines. It is recommended that he takes officer advanced training classes and then be promoted to transport aviation regiment commander. 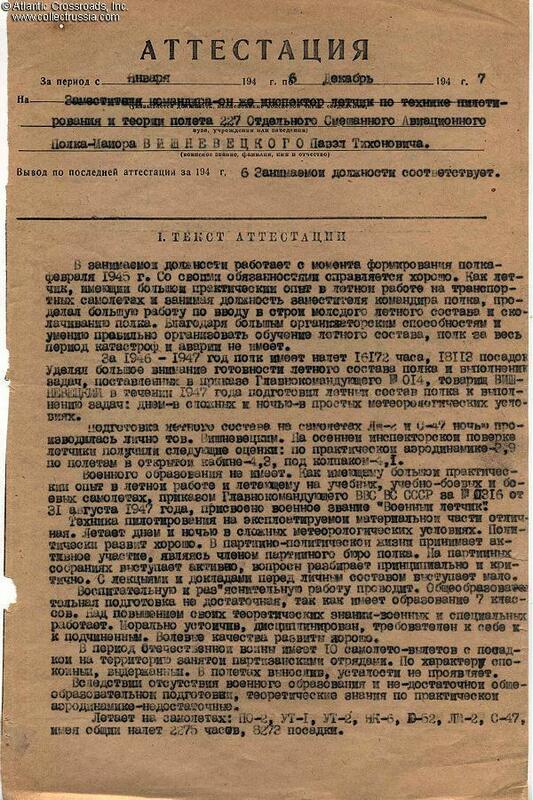 Goryunov approved this conclusion and signed in green ink on the verso, where he also put in the date "30" November 1947. Very good to excellent condition. Removal from its original file by cutting along the ubiquitous fold line on the left has resulted in the loss of about ½" of paper (probably blank and covered with staple marks). Text on the front unaffected; on the reverse, the last few letters of the typewritten review have apparently been lost. The general's autograph and "signature block" are free of any damage.